Kim Sears' favourite Aspinal of London bag for Wimbledon | HELLO! Kim Sears never puts a foot wrong when it comes to her courtside appearances, with fans envying her chic wardrobe and signature blow-dries. Even Kim's accessories are on point, as she proved earlier this week when she attended Wimbledon. The pregnant star has been spotted using her favourite Aspinal of London handbag, which is available to buy in stores and online for £510. The midi Marylebone tech tote, reduced from £850, is part of the brand's 2017 Spring Summer collection. Handmade from teal nubuck croc print Italian calf leather, the bag is a super practical size and perfect for long days out at Wimbledon, where Kim has been cheering on husband Andy Murray. The tote combines style with practicality, featuring extra internal pockets for phones and tablet devices, plus an optional cross body strap. Kim, 29, was her usual elegant self on day one of Wimbledon, showing the first hint of her baby bump in a floral dress. She was making her first appearance since her pregnancy was announced and Kim didn't disappoint. On day three of Wimbledon, the artist once again stepped out, keeping cool in a £29 floral print ruched blouse by Topshop and white lace shorts, and of course her Aspinal of London handbag. The British brand has become the go-to label for celebrities attending Wimbledon. Tess Daly was also spotted wearing the large pink Dockery bag, which retails for £1,195. Pippa Middleton is also a fan of the luxurious leather tote brand, and has been pictured using the monochrome Marylebone essential. 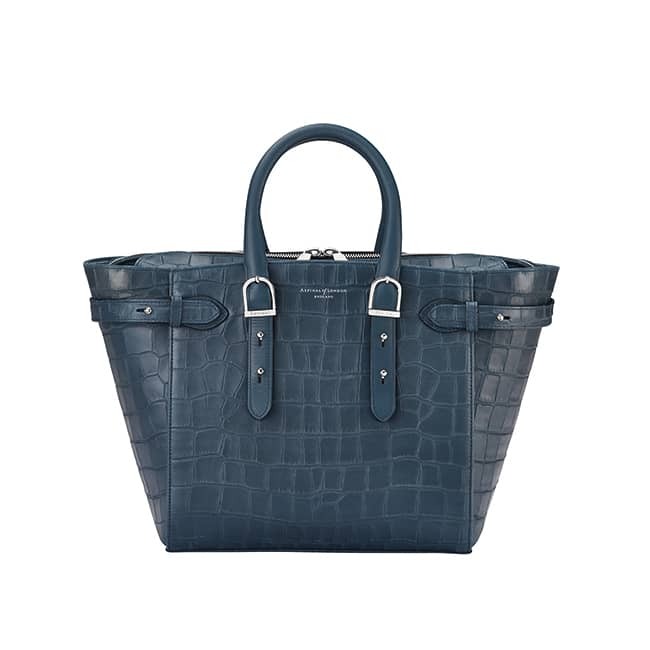 An arm candy favourite, the tote, which is no longer available to buy, is handmade from Italian Saffiano calf leather.